If you have pale skin like me, you know that the sun can feel like your arch-enemy. Summer time means lathering up with sunscreen and wearing a hat to avoid getting scorched. Sometimes, it seems that no matter how hard you try, you later find an area of sunburn on you. Some of the burns will make you look more lobster-like than others. Shade is your best friend and many times it is just easier to stay in doors. The benefit about not exposing yourself to more sun is that you reduce exposure to harmful ultraviolet rays that can cause skin cancer. 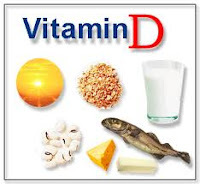 The flipside, however, is that by avoiding the sun, your body will not convert it into vitamin D. While vitamin D is found in some foods such as salmon, milk, and cheese, you may not get as much from your diet than you need. Many people would be surprised to know that there are very few foods in nature that contain vitamin D. So, it probably should not have come as a surprise that when I went for a routine blood test last year, that I had a low vitamin D level. The solution is easy: vitamin D should be available at your local grocery store or pharmacy as a supplement. Why should you care if your vitamin D level is low? Well, for one, vitamin D helps build strong bones so you are more likely to suffer broken bones if your vitamin D level is too low. More importantly, low vitamin D levels can also contribute to heart disease, cancer, multiple sclerosis, and diabetes mellitus. So, if you are one of my pale and pasty friends out there, get your vitamin D level checked and if it is low, talk with your doctor about how much of a supplement you need. You do not want to overdo it in the reverse direction and take too much vitamin D because that can be harmful as well. As the Greek philosopher, Plato, once said, do things in moderation.